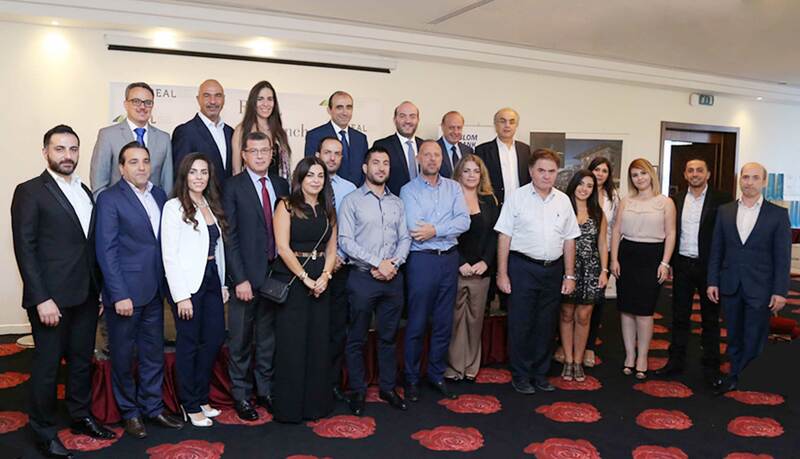 The R.E.A.L Annual Lunch was held in Monroe Hotel on Friday 14 of October during which the AUB certificates were distributed to those who accomplished the Real Estate Brokerage Course. Phoenicia Real estate was present during this event to congratulate all the graduates and in particular our team members Mrs. Jana Bou Younes & Ms. Layal Lteif for their successful completion of these courses. This Annual Gathering was hosted by the union of the real estate developers association REDAL and in the presence of the General Director of the real estate affairs in the finance ministry Mr. Georges Maarawi. During his speech, Mr. Masaad Fares the R.E.A.L. president announced " that the union is seeking to form a strong alliance that brings together all the real estate parties, combine all the professional associations active in the sector, pointing that the developers are beginning to realize the importance of the real estate broker in the market presence and provide them their products to sell."